Though Batman has had a better track record in terms of video games than Superman, the Dark Knight is not immune to the occasional bad game. 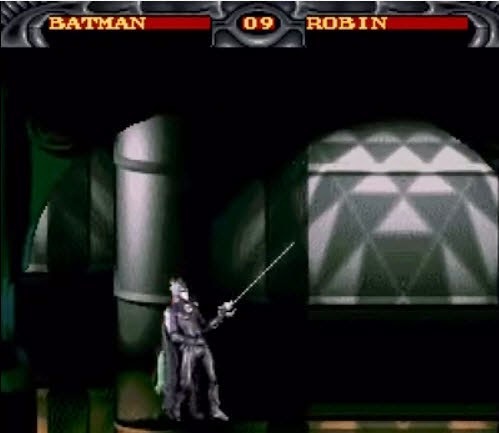 There has perhaps not been a worse video game starring the Caped Crusader than Batman Forever on SNES. As you might expect from the title, Batman Forever is the video game adaptation of the 1995 film of the same name. Like in the movie, Batman and his ward Robin are out to save Gotham City from Two-Face and the Riddler. Though almost humorously, this video game bears more resemblance to Mortal Kombat than it does with the film it’s based on. Much like Mortal Kombat, Batman Forever uses digitized actors instead of traditional character sprites. What’s a bit more surprising is that Batman’s moves are ripped directly from Mortal Kombat, with the same sequences of punches and kicks that you would find in the fighting series. It will only take a handful of seconds to see just how strong the similarities are, and it becomes immediately apparent that this wasn’t a game that was given much time or attention in its development. 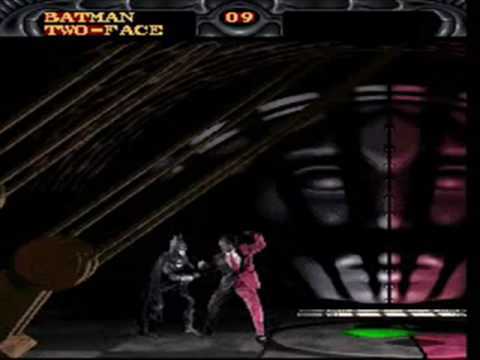 It should be noted that Batman Forever is a beat-em-up, not a traditional fighter. The fact that it duplicates the controls of a fighting game would dampen the experience on its own. But what truly ruins the game is the control scheme itself. Simply put, the controls in Batman Forever are among the most dumbfounding in video game history. The punches and kicks are easy enough to figure out (though they feel far more clunky in execution than those of Mortal Kombat), but other design choices that were made for the control scheme are so baffling they’re jaw-dropping. One of Batman’s abilities is a grappling hook, which is performed by pressing – of all things – the Select button. Yes, the Select button, which had long-since been known for bringing up menus or selecting certain options even back in 1995, is actually used to perform one of the moves. If this was’t confusing enough, the grappling hook, by default, shoots in a diagonal direction, and can’t grab hold of anything this way, making it pretty much useless. In order to shoot directly upward, you have to press up on the D-pad as well as the Select button. But unlike any reasonable game, where you would press both buttons at once, you have to – and I kid you not – press the Select button shortly before pressing up. As if this all wasn’t enough, matters are made worse by the fact that pressing up on the D-pad is also how you jump. So unless you get the Select/Up timing just right, you’ll just end up jumping instead of using the grappling hook. To add a cherry on top, you are never given any kind of clues when you can use the hook to go upward anyway. So you’ll often just be stuck not knowing what to do and randomly shooting the hook upwards in hopes of finding somewhere to go. If you ever want to go back down to a lower area, you have to find certain spots that are (once again) unexplained and hit down on the D-Pad plus the R button. And yes, you press R shortly before pressing down. There are games where the characters can feel unresponsive, or that have controls that take some getting used to, but Batman Forever is one of a very select group of games where the controls are so bad, it will leave you wondering how anyone could have thought them up. Even if the controls did work, Batman Forever would still be an incredibly boring game. The beat-em-up genre is largely mindless, but provides some good fun. The goal to these types of games is usually just to defeat all the bad guys who appear on screen, but there’s usually a good dose of variety, energy and cohesiveness in the levels and enemies. None of that is found here, as the enemies are just an assortment of thugs who are as generic and stock as the game’s music (though I do appreciate how every individual enemy is given a cheesy criminal name), and the levels are pretty much straightforward (when they aren’t timed). All you do is beat up a few bad guys, go right, beat up a few more, maybe go up or down (if you can get the controls right), and repeat. The action is bland and monotonous, and considering there’s nothing else to the game, it gets really old really, really quickly. Just in case this wasn’t all bad enough, Batman Forever – despite being a cartridge-based game on the Super Nintendo – has load times. That’s right, after every segment, you are treated to a pitch black screen with the words “Hold On” staring you in the face. I can’t think of another SNES game with load times, and these aren’t exactly short load times, either. And again, they happen all the time! Batman Forever is simply a mess of a video game. The long load times only serve to prolong an ugly game with lazy, copy-and-pasted gameplay, which is made all the worse by some of the most horrifyingly bad controls in video game history. It is a riddle even the Riddler wouldn’t bother with. Load times in a cartridge game. That is inexcusable. As I’ve said in the past, it doesn’t seem as though fighting game control schemes would work outside of that genre; using up to jump is pretty much a deal breaker by itself (at least it’s not down). Though Batman Forever seems to go beyond that with its extremely picky control scheme that changes depending on the order the buttons are pressed. I’m honestly surprised you didn’t break out the 1/10 for this game. You know, I really flip-flopped with a 1 and a 2.0 for this one. I may actually switch it to a 1 (as much as I hate changing scores). The only reason I didn’t give it a 1 initially is that I kept comparing it to The Wizard of Oz (the last 1 I gave out) and Batman Forever isn’t quite as bad as that. Still, I guess I can’t really think of any redeeming qualities about it. Yeah, that’s the difference between a 1/10 and a 2/10 from me as well. A 2/10 I can at least see somebody enjoying ironically; that is not so with a 1/10. Batman Forever isn’t bad in a hilarious way like Pac-Man 2 or in a way where one disproportionately awful aspect overshadows everything good about it as was the case with Metroid: Other M. Even if it’s not as blatantly terrible as The Wizard of Oz, it’s bad in ways I think is impossible to get any enjoyment out of. It’s sort of like how Deadly Towers isn’t as bad as Metal Morph, but I couldn’t see anyone enjoying either – ironically or not. In short, changing the score is completely understandable. Agreed about the loadtimes. That’s just laughable. I also dislike beat-em-ups or platformers where you have to press up to jump. Did the developers think it was a fighting game, haha? Good on you for getting through this game! Hahaha, oh this game, I remember trying it out with friends on an online emulator a few years ago, it was so bad, but it sure did make for a memorable experience trying to figure out the god awful control scheme. Frighteningly, I hear there’s an even worse Batman game out there, Batman & Robin for the PS1.